Those to whom God gives a “heart of flesh” and “ears to hear” will, at some point in their conversion process, become “born again.” To be “born again” is not an option for salvation; it is an absolute requirement (John 3:1-8). When one is “born again”, God the Father draws them to Jesus (John 6:44), reveals to them that Jesus is the Christ, the Son of the living God (Matthew 16:16-17), replaces their sinful heart of stone with an obedient heart of flesh (Ezekiel 11:19 and 36:26); that is, He removes the old, rebellious human spirit they were born with, which is at enmity with God, and replaces it with a new, obedient human spirit (Ezekiel 11:19 and 36:26), which is from God (John 3:1-8) and in harmony with God. Here is how the Apostle Paul described this harmony with God, in 1 Corinthians 6:17, “But anyone united to the Lord becomes one spirit with him.” Jesus, the Second Adam, has undone the spiritual damage caused by the “original sin” of the First Adam; our “sin nature” has been undone! Moreover, God puts the Holy Spirit into the born-again person (Exekiel 36:27) to sanctify him, help him to understand spiritual truths and to be an internal witness to the veracity of biblical truth. A “born again” person loves the word of God and eagerly receives and believes it (1 John 4:6). But to those who are not “born again”, it is foolishness (1 Corinthians 1:18 and 2:13). And we should not expect them to believe it, because in their fallen, dead, spiritual condition, they cannot (1 Corinthians 2:13 and 1 John 4:6). 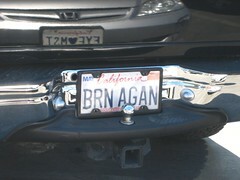 Are There Other Bible References to “Born Again”? Where else in the Bible can we find teachings about being “born again?” As it turns out, Peter used the same phrase that Jesus had coined in referring to Christian believers: “For you have been born again, not of perishable seed, but of imperishable, through the living and enduring word of God.” (1 Peter 1:23). What does Peter mean by “perishable” and “imperishable” seed, and what is the significance, if any, for us? Well, we can understand this reference to the two kinds of seed if we consider what happens to unbelievers vs. believers in the judgment: “To the thirsty I will give water without cost from the spring of the water of life.Those who are victorious will inherit all this, and I will be their God and they will be my children.But the…unbelieving—they will be consigned to the fiery lake of burning sulfur. This is the second death.” (Revelation 20:14-15). The believers will not experience the second death because they are born again of imperishable seed (a new human spirit), whereas the unbelievers are still of their original, perishable seed (old human spirit) and will die a second death (i.e., “perish”). One can also recognize a reference to being “born again” in Paul’s description of what happens when an unbeliever is converted into a believer: “Therefore if any person is [ingrafted] in Christ (the Messiah) he is a new creation (a new creature altogether); the old [previous moral and spiritual condition] has passed away. Behold, the fresh and new has come!” (2 Corinthians 5:17, the Amplified Bible). Now, we know, of course, that the salvation experience does not immediately change everything about the “old” person (e.g., his body is still the same age and his ability to resist temptation is not yet perfect), so how, then, can Paul say that this experience makes one “a new creature altogether?” It’s because Paul is referring here to just the “spirit man” (the man’s human spirit) which is changed from the original, fallen spiritual condition in which he was born into this world, to a new, regenerated and undefiled spiritual condition when he is born again. In other words, his original human spirit (“previous moral and spiritual condition”) has been replaced with a new human spirit (thus, “a new creature altogether”). And, finally, the Apostle John also refers to this experience as being “born of God”: “He who does what is sinful is of the devil, because the devil has been sinning from the beginning. The reason the Son of God appeared was to destroy the Devil’s work. No one who is born of God will continue to sin, because God’s seed remains in him; he cannot go on sinning, because he has been born of God. This is how we know who the children of God are and who the children of the Devil are: Anyone who does not do what is right is not a child of God; nor is anyone who does not love his brother.” (1 John 3:10). Note that here, John is giving us a litmus test that separates the true believers (those who are “born of God” or “born again”) from the unbelievers (the “children of the Devil”): the “born-again Christians” will not continue to sin. This entry was posted in Biblical Teachings and tagged assurance, born again, deaf ears, ears to hear, eternal life, gospel, heart of flesh, heart of stone, Jesus Christ, judgment, new creation, salvation, seed, spirit. Thank you for your interest and comment, Gary. I will only speak for myself in replying to your points. First, I do not believe that “making a decision for Christ” is the same thing as being “born again.” The former is something a sinner does, while the latter is something God does. Second, I do not believe that being “born again” is a means to salvation; but, it is a necessary part of the salvation process. Third, I agree that “accepting Christ into your heart” is NOT what being born again really means, and that making a “decision” for Christ is NOT how God saves sinners. Jesus said that “No one comes to the Son unless the Father draw (literally, “drag”) him.” To my way of thinking, then, the so-called “decision for Christ” is more of a confirmation/realization of what God has already done in your life to bring you to saving faith in Jesus Christ. Perhaps you are being a bit too narrow in your reading of the Bible, when you talk about specific words or terms being absent or mentioned infrequently. We have to keep in mind that we are reading English translations of Hebrew and Greek texts, and different English words may be used to confer the same meaning. I believe, also, that it is important to look at the general meaning of a word or phrase and see if that meaning is to be found elsewhere in the Bible. Thus, one can recognize a reference to the meaning of being “born again” in Paul’s description of what happens when an unbeliever is converted into a believer: “Therefore if any person is [ingrafted] in Christ (the Messiah) he is a new creation (a new creature altogether); the old [previous moral and spiritual condition] has passed away. Behold, the fresh and new has come!” (2 Corinthians 5:17, the Amplified Bible). Now, we know, of course, that the salvation experience does not immediately change everything about the “old” person (e.g., his body is still the same age and his ability to resist temptation is not yet perfect), so how, then, can Paul say that this experience makes one “a new creature altogether?” It’s because Paul is referring here to just the “spirit man” (the man’s human spirit) which is changed from the original, fallen spiritual condition in which he was born into this world, to a new, regenerated and undefiled spiritual condition when he is born again. In other words, his original human spirit (“previous moral and spiritual condition”) has been replaced with a new human spirit (thus, “a new creature altogether”). That’s what “born again” really means, as explained by Jesus, albeit more succinctly than Paul’s treatment of it. Everyone whom God saves is born again (according to Jesus), whether they know it or not. Maybe “accepting Christ into your heart” is NOT what being born again really means. Maybe…making a “decision” for Christ is NOT how God saves sinners!